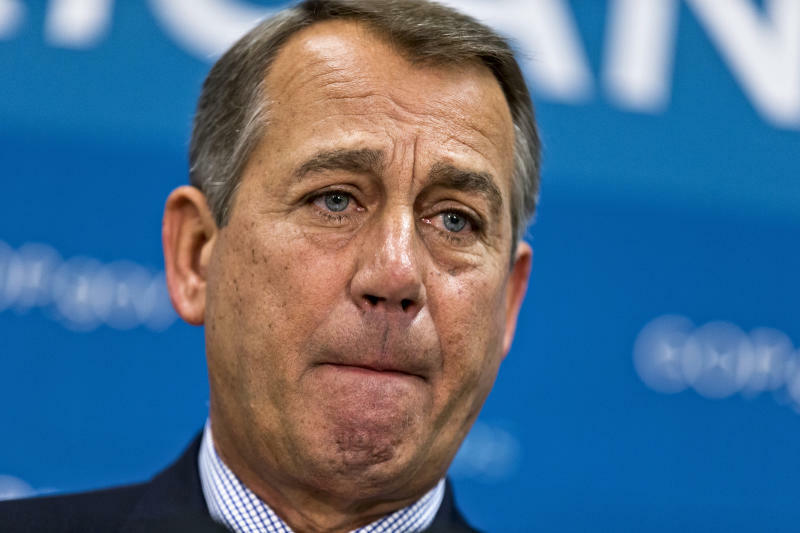 Boehner to Obama: Why a break for businesses only? WASHINGTON (AP) -- Framing a new argument against President Barack Obama's health care law, congressional GOP leaders called Tuesday for a delay in the law's requirement that individual Americans carry health insurance. "Your decision to delay one part of the law affecting employers and leave in place provisions regulating individual and family health care creates many new questions and concerns," the GOP leaders wrote. "We agree with you that the burden was overwhelming for employers, but we also believe American families need the same relief." White House spokesman Jay Carney said the administration has no intention of delaying the individual mandate. He said the law provides financial aid to low-income Americans and is flexible so that people facing financial hardships aren't punished for going without coverage. The criticism from top Republicans, he said, is "pretty rich coming from leaders who have now voted to repeal the Affordable Care Act going on 40 times, and who promised to do it again, to charge up that hill, only again not to reach the top, rather than focus on the work that the American people want done because they have no alternative." Asked whether public confidence in the law could be eroded by delays and by the change in the smoking provision, Carney said, "A piece of legislation like this, to be responsibly implemented, needs to be implemented in a flexible way." Nonetheless, Republicans hope their new argument will gain traction in next year's congressional elections, as the law's big push to cover the uninsured gets underway. Foes are betting the coverage rollout will be full of problems, particularly since about half the states have refused to support the federal effort. Last week, the White House unexpectedly announced a one-year delay in the employer requirement, saying the administration needed more time to work out technical details that employers find too burdensome. Some saw a political motive, since Republicans have criticized the requirement on businesses as a "job killer." The individual mandate applies to virtually every U.S. resident, with exceptions for financial hardship, people who entered the country illegally, and prison inmates. The coverage requirement survived a determined legal challenge by "Obamacare" opponents. A divided Supreme Court upheld the mandate last year, reasoning that the penalties which enforce it are taxes constitutionally levied by Congress. The GOP leaders' letter also requested that the administration provide detailed information on the impact of its decision to delay the employer mandate. Associated Press reporter Jim Kuhnhenn contributed to this report.